Heute geht es los: Das Denkfest beginnt! Heute Abend darf ich am Podium «skeptic blogging» teilnehmen - wäre toll, wenn trotzdem viele Leute vorbeischauen! 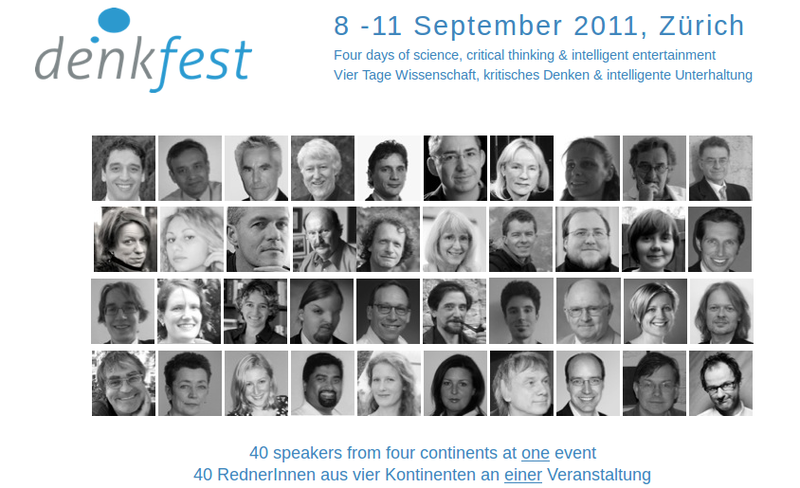 Ah, Peter Brugger (tritt auch beim Denkfest auf) wird zitiert. 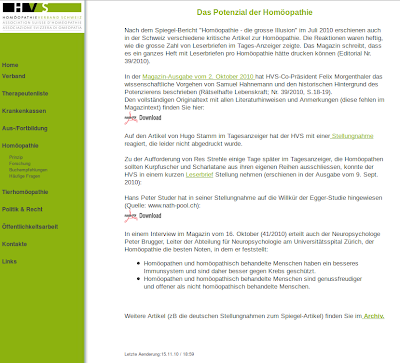 Homöopathisch Behandelte hätten ein «besseres Immunsystem» und seien «besser gegen Krebs» geschützt? Das zitierte Magazin-Interview hatte ich zufälligerweise auch thematisiert, und zwar in diesem Blogeintrag. Das Interview kann als PDF hier heruntergeladen werden. 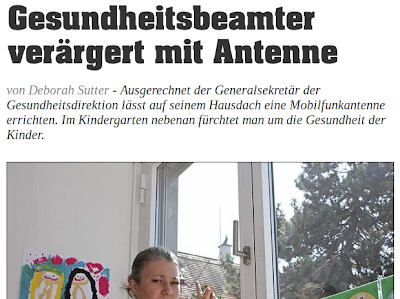 Scheinbar wirkt Homöopathie wirklich: Die Kügelchen steigern die Dreistigkeit ins Unermessliche, sodass auch Lügen kein Problem sind. 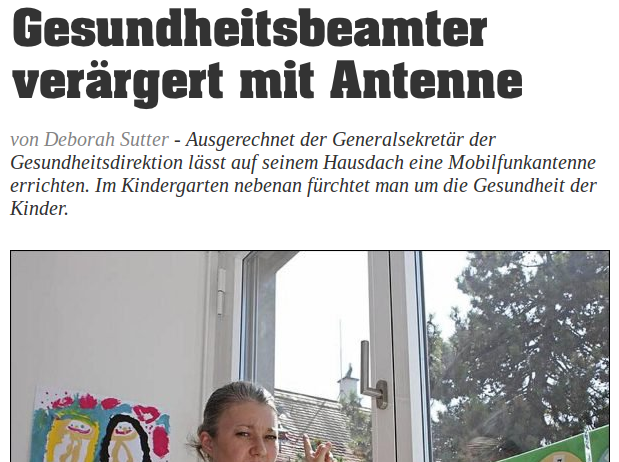 Er sei kein Verschwörungstheoretiker, sagt Ganser. Natürlich nicht; er verbreitet ja nur Verschwörungstheorien. 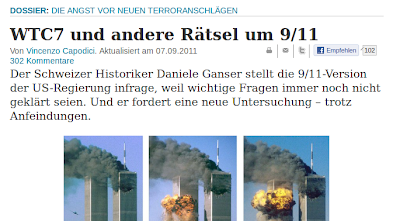 Wer sich ein bisschen einlesen möchte: Popular Mechanics - Debunking the 9/11 Myths. Also: Als Gegenmittel zur allgegenwärtigen Irrationalität eine Portion kritischen Denkens - und zum Dessert ans Denkfest. 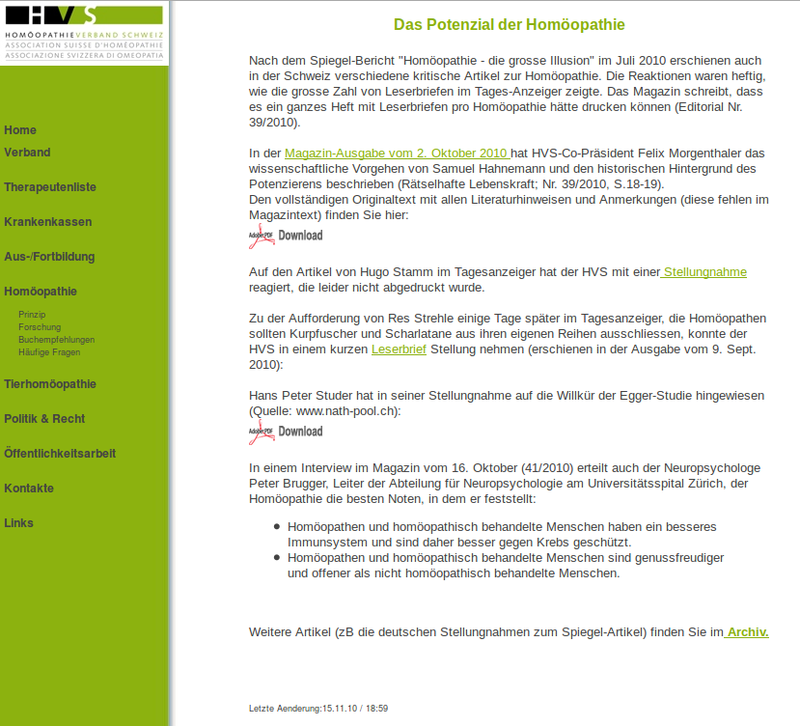 Dank an Jonas Vollmer für den Hinweis auf die «Homöopathieverband Schweiz»-Webseite. Peter Brugger im besagten Magazin-Interview: "Die Homöopathie ist das Paradebeispiel eines irrationalen Glaubens." Das Zitat des HVS könnte verkehrter nicht sein. Hast du die Leute dort schon damit konfrontiert? Noch nicht - werde ich dieser Tage, wenn es die Zeit erlaubt, aber nachholen! Warum ist WTC 7 eingestürzt? "So one column in the left interior center causes all of them to simultaneously collapse resulting in free fall speeds for the first 2.5 seconds with virtually NO resistance at all? This is as fast as a free falling object and it makes no sense why it wouldn't have been slowed by the tons and tons of concrete and steel beneath. Even if it were the fires that led to collapse, it certainly would not have come down into the path of greatest resistance (straight down)..."
"I am not a conspiracy theorist. I work in the science field. And in this world there are laws and rules in physics. In order for something to fall at free-fall speed there must be no resistance. If you were to jump off of a table onto a thick cardboard box, even if that cardboard box gives a little resistance and then breaks there will be evidence of your falling speed decreasing or at the very least not accelerating. That is not what happened with this building. Building 7 fell at free-fall speed. It has been scientifically documented and proven through various sources and research. The ONLY way for this to happen is if there is no resistance. Buildings are created to withstand a high amount of resistance from the above floors. If the steel was compromised and did in fact buckle to the degree in which the NIST would like to believe that still does not explain the lack of resistance from the bottom floors. 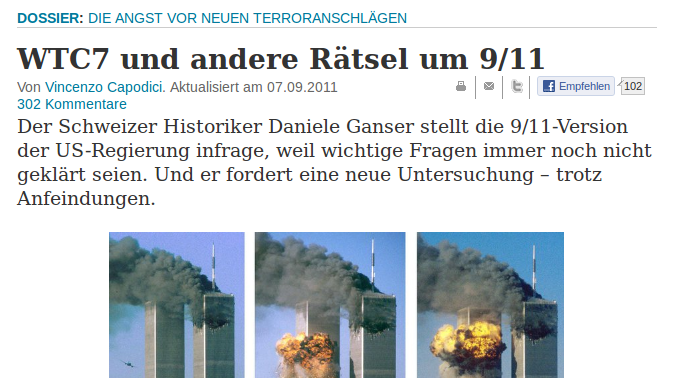 Again, I would like nothing more than to believe that Building 7 was brought down by fire. That it was just a casualty of this horrible day. But the evidence does not support this. The NIST will not release the DATA that was used to come to its conclusions and all the evidence points towards the fact that there was no resistance below those falling floors. You must prove that there was no resistance. If you can do that then maybe I might believe what has been put out there by the NIST and supported by Popular Mechanics." Solange es keine erklärung für diesen fehlenden widerstand gibt, ist der fall nach wie vor ungeklärt.